Download Spring Easter Free PSD Flyer Template. 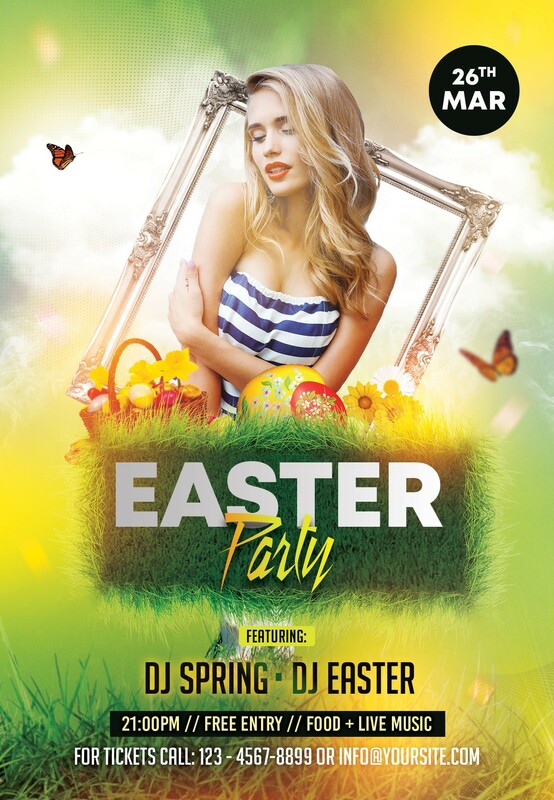 This Easter Event Flyer is suitable for any easter party, spring break, dj’s, music promotion and other entertainment business. Image only for presentation. In help file is link of stock to purchase. To edit this flyer, you need to install adobe photoshop cs4 or higher version.